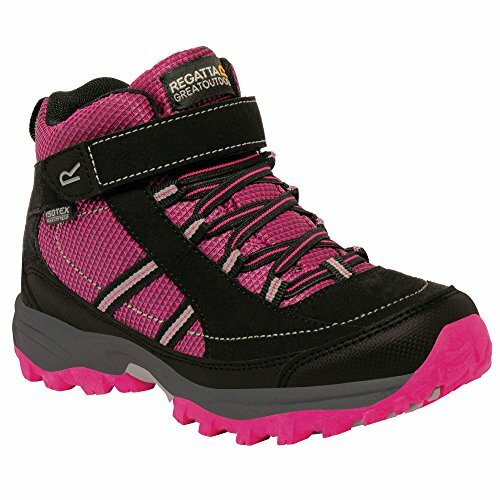 Kids walking boots with supportive weather protection. Sporty uppers feature water repellent Hydropel technology and waterproof membrane to keep feet dry. Tough-wearing rubber overlays at heel and toe. Hook and loop ankle strap to secure. Slip resistant sole with added grip. Fabric: PU/PU Suede/Nylon. Kids walking boots with supportive weather protection. Sporty uppers feature water repellent Hydropel technology and waterproof membrane to keep feet dry. Tough-wearing rubber overlays at heel and toe. Hook and loop ankle strap to secure. Slip resistant sole with added grip. If you have any questions about this product by Regatta, contact us by completing and submitting the form below. If you are looking for a specif part number, please include it with your message.